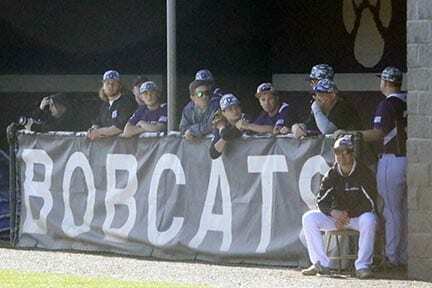 The Gilmer Bobcats hosted the Raiders of Southeast Whitfield on Wednesday in doubleheader action. Looking to redeem themselves from a lashing at the hands of the Raiders just a day earlier, the Cats were pressed to fight tooth and nail to get back on the winning trail. 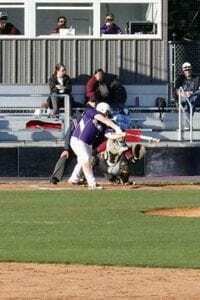 In Game one, the home team started early putting 3 hits including an RBI double from 1st baseman Tyler Woody that pushed Evan Frady across the plate for the first Bobcat run. The Cats added two more in the 2nd and their last run of the game in the 3rd while allowing the Raiders to put one on the board. The Cats had 7 hits and 2 walks in the seven inning competition and took the victory 4-1 over the Raiders. Will Barnes(6 and 1/3 innings pitched) and Evan Frady(2/3 innings pitched) combined on the mound to set up a decisive game 3 of the series. In the final game of the series and game 2 of the doubleheader, the Raiders of Southeast Whitfield put a scare on the Bobcats. The Cats put two runs on the board in the bottom of the first and were feeling confident. The Raiders would not allow that confidence to sit for long. The Raiders, in the top of the second inning, placed 6 runs on the board by way of 2 hits, 3 walks and 4 Bobcat errors. The Cats added more of their own with 4 in the 3rd, 4 in the 4th and 2 in the sixth to out last the Raiders 12-9. Defensively, the Cats weren’t up to par in game 2 but made the plays when they needed to. Committing 8 errors is a concern for the Cats as this is not the normal play by the Cat fielders. The Cats sweep the doubleheader and take 2 out of three from region foe being the Southeast Whitfield Raiders. These victories bring the Cats to 8-17 overall with just four games left in the 2018 regular season. The next game for the Bobcats will be at Heritage on Tuesday starting at 5:30 pm.